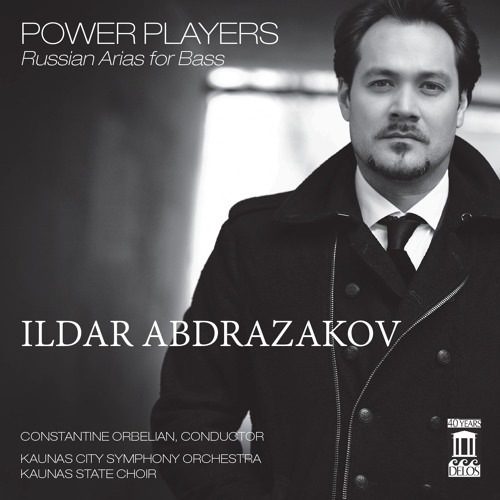 Music: Aleko — “Ves tabor spit” (All the camp is asleep) Composer: Sergei Rachmaninov Artists: Ildar Abdrazakov, bass; Constantine orbelian, conductor; Kaunas City Symphony Orchestra; Kaunas State Choir Album: Power Players: Russian Arias for Bass Label: Delos Productions — DE 3456 iTunes: http://bit.ly/1idN41v Amazon: http://amzn.to/1hvETQO Delos: http://bit.ly/1evEDL1 The dynamics of power in Russian Opera and its most iconic characters In this, Ildar's first solo aria album, he offers magnificent examples of operatic art from the greatest Russian composers: Glinka, Borodin, Mussorgsky, Rimsky-Korsakov, Rubinstein, Tchaikovsky, Rachmaninoff and Prokofiev. Thrilling choral passages come in the Coronation scene from Mussorgsky's “Boris Godunov,” couresy of the famous Kaunas State Choir. The Kaunas City Symphony Orchestra — under the baton of Maestro Constantine Orbelina, often called “the singer's conductor” — offers sympathetic sonorous orchestral collaboration.